Organizing skills are very well presented in the Windows Phone OS. Your garden variety apps for organizing your life are all preloaded and even if you need something more Samsung or the Marketplace will provide you with it for free in most situations. Samsung's AllShare application has been around ever since the Galaxy S and we're glad to see it preinstalled on the Omnia W. It provides a simplified way of sharing your multimedia content via Wi-Fi, while Photo Studio gives you a set of shooting options for the built-in camera. The Now application doubles as Daily Briefing, the app that serves to provide you with up to date information on current news, weather, stocks and calendar events. Windows Phone Mango provides users with the basics in smartphone organizing but, as we said in the beginning, if you need anything more the Marketplace is there too - it offers apps for just about everything - most of which are free. 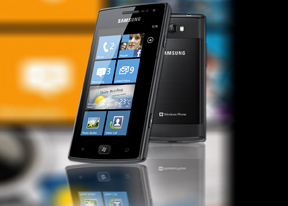 The Windows Phone website is the cloud of sorts for all WP7 smartphones. All you need to do to use the site is register your email (Gmail, Yahoo, Hotmail, etc.) and then setup an account on your Windows Phone device. 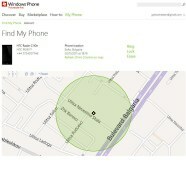 The options given to you on the windowsphone.com website are limited to billing information and security. You can update your billing information, view the apps you've bought and go to the web version of the WP Marketplace and buy new apps. Note that they will be sent to your phone to be downloaded locally on the device, unlike on the Zune app for your PC or Mac. The features most important to users are the Find, Ring, Lock or Erase. To use them you'll have to input a phone number out of a total of 37 countries. After you've done this the website will have access to your phone's location so you'll be able to pinpoint its almost exact location. The other features are pretty self-explanatory - Ring will use your phone's ringtone to send a single if you've lost it around the house, Lock will lock it with a 4-digit PIN code and Erase will wipe all your sensitive data off the device so you don't have to worry about it falling into undesirable hands. What we didn't like about the windowsphone.com cloud is that it doesn't allow wireless sync like on the iCloud, for example. We just think that any cloud-based service should offer this. Also the number of countries that allow tracking your device is limited and many countries where WP is available won't have access to these much-needed features. 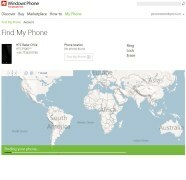 The rest of the website includes guides on each individual feature of your phone and depending on where you live there's a very detailed list of providers and operators that offer WP handsets.